Thalapathy turns 44 years today, June 22. What an illustrious career it has been, especially the last few years has been exceptional for Vijay. It is not a ride without bumps, he has attained this stardom after so much struggles but his hard work, dedication and people's love have always kept him going. 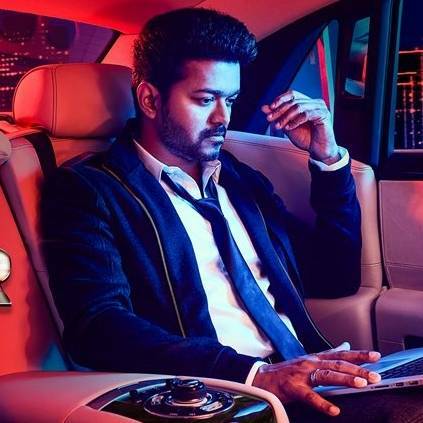 Now as a birthday gift to all Vijay fans, the makers of Sarkar (Thalapathy 62) have released the second look poster of the film. Nayanthara To Join The Shoot Of Vijay's Thalapathy 63 After 2nd Week Of March. Proposal To Thalapathy Vijay - Shabana & Vani Bhojan's First Ever Dance Performance On Stage!! People looking for online information on Sarkar, Thalapathy, Vijay will find this news story useful.